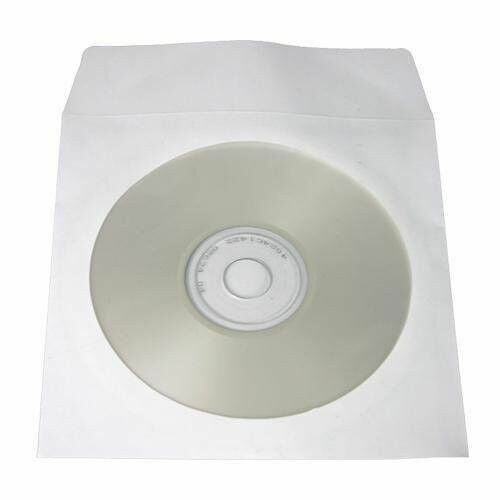 Standard-sized white paper sleeves with clear window for standard-sized CDs & DVDs. Clear Plastic Window. Capacity: 1 disc per sleeve. No Exceptions. As far as I know, paper is paper. When the thickness is important, and these sleeves are the same thickness as the more expensive sleeves, why would you not buy them. I was amazed at the difference between buying them in bulk compared to buying 100 at a time. We use them to store "listening" CDs for our choir members at church. Also for DVD's of services to send to servicemen. 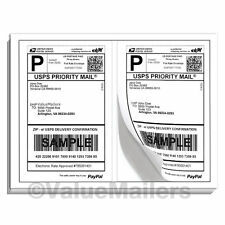 Unlike other envelopes, these come with the flap unfolded, no doubt to change the shipping configuration and keep the envelopes flat. Great for shipping but before you use them you have to fold the flap on each one along a poorly defined edge. It takes me an extra 5-7 minutes to do the folding on each pack of fifty. The main reason why it takes so long is that the paper is so flimsy that you must take extra care to make sure the flap folds on the crease. So if you use one a day and are giving the disc to someone and not keeping it yourself then this is the product for you. I use 25-50 a day and the time lost and the light construction of the envelopes will not encourage me to reorder; I'll pay a little more for a higher quality product. These DVD envelopes are perfect protection for all my loose DVDs and CDs. The envelopes have room to write titles etc., and a little flap lock on the back. Strong enough paper to protect and thin enough to not be bulky and take up too much space. The price is really a deal, too. So glad to find this item at this price! 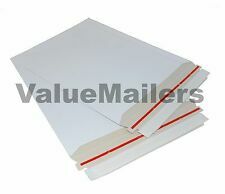 These envelops are getting very hard to find in retail stores and the price was always excessive, in my opinion. This is a great product, reasonably priced in a good generous quantity. Shipped quick and have enough to share! Super deal! These paper sleeves are great....they seem to be a little thinner than the high priced brand but do the job just fine. Why spend $9.00 for the name brand at office supply stores or your local super center. Save some cash and pull the trigger on these!